Science Café OSU is a monthly event that highlights interesting, relevant, and current science research. The events are an opportunity to participate in lively and engaging conversations about science. Each Science Café features a brief presentation by a scientist(s), followed by discussion and questions. Refreshments are provided, and Science Cafés are free and open to the public. No science background is assumed or required. 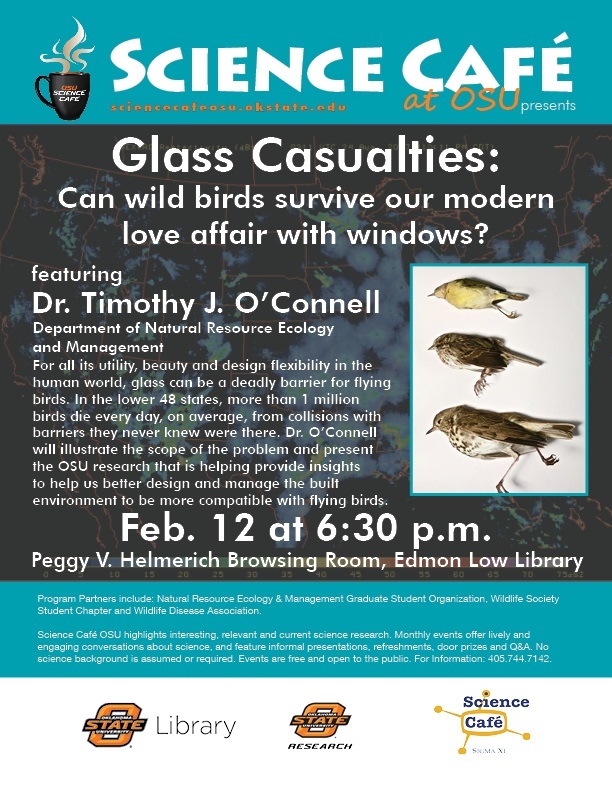 Please join us for the next Science Café on Tuesday, February 12th, at the Edmon Low Library on the OSU Campus. Please see the upcoming science cafés page for dates, topics, and speakers.